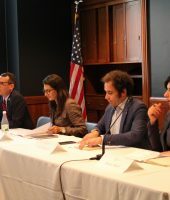 The Robert F. Kennedy Center for Justice and Human Rights and TIMEP cohosted a panel discussion examining the Egyptian government’s repression of civil society and human rights. 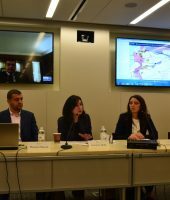 TIMEP hosted Robin Yassin-Kassab and Leila Al-Shami at its office in Washington for a conversation on their book Burning Country: Syrians in Revolution and War. 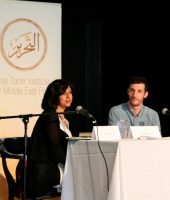 TIMEP hosted a book talk at Busboys and Poets in Washington featuring Jack Shenker, author of The Egyptians: A Radical Story. TIMEP Executive Director Dr. Nancy Okail moderated the discussion. 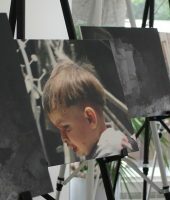 TIMEP hosted a panel discussion titled “Five Years After the Syrian Uprising,” in observance of five years passing since the beginning of the Syrian uprising. 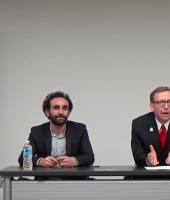 TIMEP hosted an event featuring inaugural TIMEP-Atlas Corps Bassem Sabry Democracy Fellow Mohamed Adam in a discussion with founder and CEO of Atlas Corps Scott Beale. 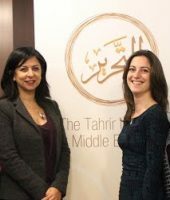 TIMEP and TADAMUN: The Cairo Urban Solidarity Initiative cohosted an event where panelists discussed how the Egyptian government’s longstanding approach to urban policies favors new cities. 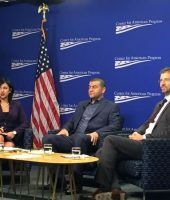 TIMEP and the Center for American Progress co-hosted an event that featured TIMEP Nonresident Fellow Hassan Hassan, author of ISIS: Inside the Army of Terror, and Brookings Fellow William McCants. 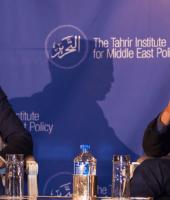 TIMEP was honored to host Dr. Bassem Youssef for a dinner and discussion moderated by Ahmed Shihab-Eldin in Washington.